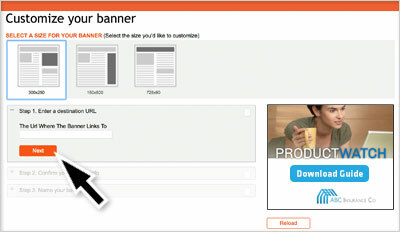 Create custom banner ads with bannerShare. The banner ad display format is expected to grow 7% this year. So here’s an easy way to help your users seize this opportunity . . . and drive traffic to their website. 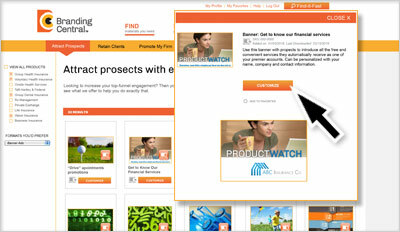 Offer users a searchable, time-saving library of banners. All the responsive banners you offer can be organized in one online library, which users can scroll by topic and size and then select those that are most relevant for their clients, campaigns. Lets users personalize with just a few clicks. Not only can users quickly find the banners you offer, but they can personalize and download banners in several formats, including standard HTML5, DoubleClick and Sizemek. They can even select from pre-approved images and messaging, and include their own contact information and website so they can drive traffic to their content. Just like with other Branding Central features, there’s no need to worry that users will compromise your brand’s integrity. With bannerShare, you can “lock down” as much or as little as you want for each ad so your branding stays intact. 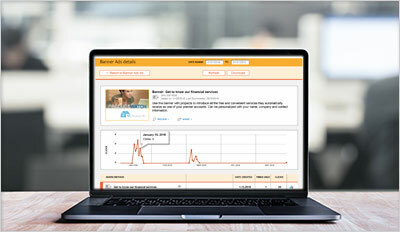 As an administrator, you can measure utilization of the platform by user and by banner ad. Users can also monitor how various banner content performs and can view relevant analytics, such as title, size and clicks. Then, based on results, they can make adjustments to their banner ad strategy for even greater effectiveness.